The Red& Black delegation that accompanies the national football team is complete. Today , the vice/president of the federation Lutfi Nuri and the general secretary Ilir Shulku arrive from Tirana. They will be part of the national team , and will travel together for France. President of the Federation Armand Duka joined the team on 30 May. Meanwhile , the staff of AFA will be completed , and they will cover different tasks during the European Championship ‘’France 2016’’. 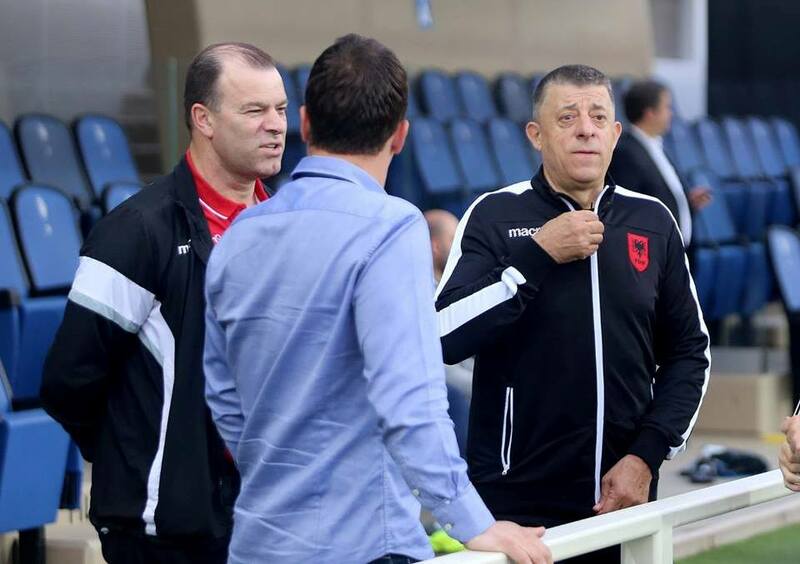 The three high functionaries of the Albanian Football Association , President Armand Duka , Vice President Lutfi Nuri and the General Secretary Ilir Shulku , followed the last training session of the team , in the stadium of Bergamo ‘’Atletti Azzurri’’.